As per the report prepared by the National Commission on DNT, NT, SNT headed by Bhiku Ramji Idate, over 260 extremely marginalised communities have never been identified or included in any of the reserved categories. The report has been pending implementation with the Ministry of Social Justice and Empowerment since January 2018. 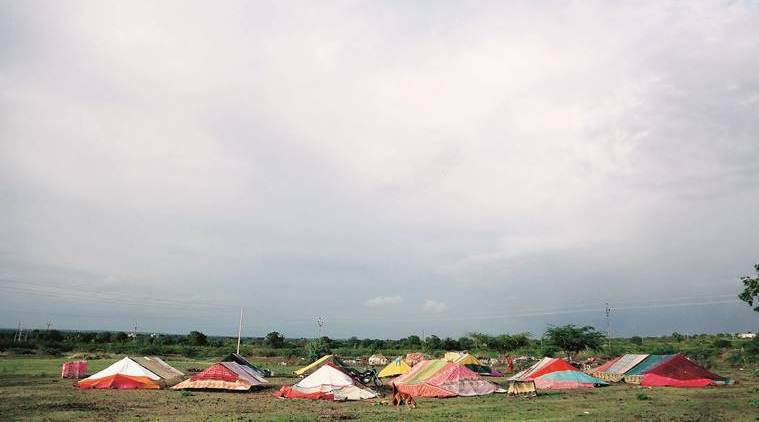 The Union government is planning to institute an exercise to identify hundreds of Denotified, Nomadic and Semi-Nomadic Tribes (DNT/ NT/ SNT) who were never classified as either Scheduled Castes (SC), Scheduled Tribes (ST), or Other Backward Classes (OBC) resulting in them being entirely left out of the reservation pie and all welfare schemes meant for backward communities. As per the report prepared by the National Commission on DNT, NT, SNT headed by Bhiku Ramji Idate, over 260 extremely marginalised communities have never been identified or included in any of the reserved categories. This accounts for 35 per cent of the DNT, 64 per cent of NT, and one per cent of SNT population. The report has been pending implementation with the Ministry of Social Justice and Empowerment since January 2018. “There is very little known about many of these communities and the issue of their exclusion has also come up before the Justice Rohini Commission for OBC sub-categorisation. For DNT/ NT/ SNT communities that have been entirely left out and not included in the list of any of the reserved categories, the government is planning to undertake an exercise which will begin with identifying them,” said a Union government official. According to sources, the Home Ministry too is expected to soon repeal the Habitual Offenders Act while the issue of setting up a permanent Commission for DNT/NT/ SNT is also under consideration. According to the Idate Commission report, Haryana and Uttar Pradesh have the largest number of DNT and NT communities respectively, that are not included in any list. While several commissions and committees have been set up since Independence to address the matter, none of the crucial recommendations have been enforced till date. Following the June 2008 Balkrishna Renke Commission report, for the first time, two schemes were implemented starting 2014-15, namely pre- and post-matric scholarships and construction of hostels for DNT students. However, significant recommendations remained unimplemented. These include extending 10 per cent reservation in jobs and education to these communities (Renke report) or creating sub-quotas for those from these communities who have been classified as SC/ST/ OBC so that they are not “crowded out” of the reservation benefits or safeguarding their rights by including them under a third schedule of the Constitution after SC and ST (Idate report). The Union government’s plan to implement a few, if not most, of the recommendations of Idate Commission is a political move coming at a time when it is facing severe backlash for implementing the 10 per cent reservation for economically weaker sections in general category. Described as the “most deprived” by commission after commission set up since Independence, the DT, NT, SNT communities have been the most marginalised groups in India. Despite various recommendations to this effect till date, there is still no data collated on their numbers, no separate reservation or a permanent commission for them, nor is there proper categorisation with a few being put in SC/ ST/ OBC lists and the rest figuring nowhere. “The Home ministry is expected to very soon repeal the Habitual Offenders Act. Earlier we had written to the States asking them to repeal their respective legislations that criminalise these communities, as per the Idate Commission report, but now we have decided to do it through the Home ministry,” said an official, referring to the colonial-era law that continues to stigmatise entire communities and makes them vulnerable to repeated police harassment.